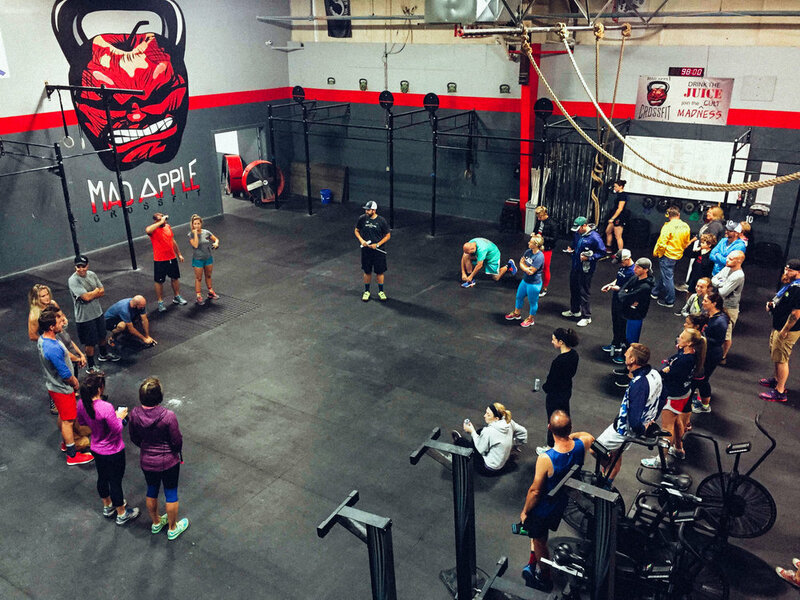 Another successful Night Moves is in the books thanks to Mad Apple CrossFit, the volunteers involved in making the course safe and easy to navigate, and all of you that came out to run. Because of your support, we'll be adding $450 to our Team NL Cyclocross Fundraising effort to put in 4 furnaces for neighbors in need this winter. 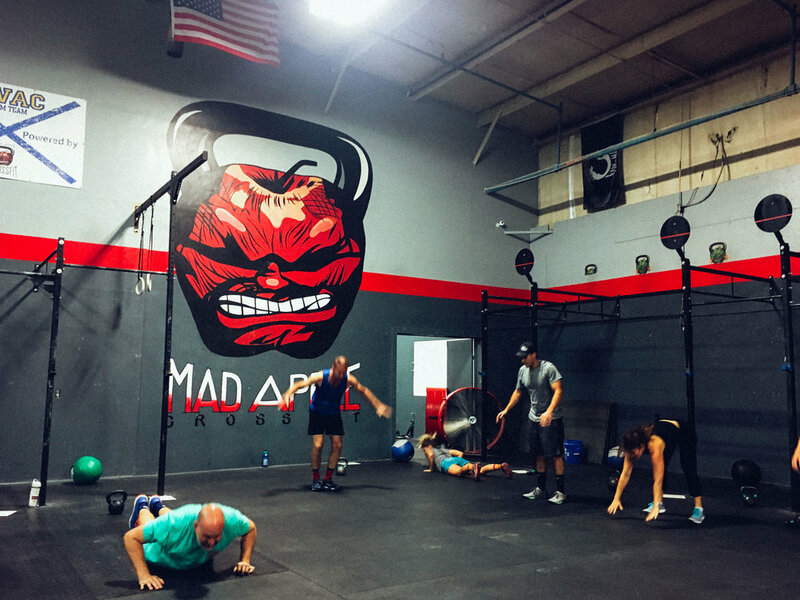 Night Moves was a little different this time because of Mad Apple's willingness to throw in a workout two hours before the running event. 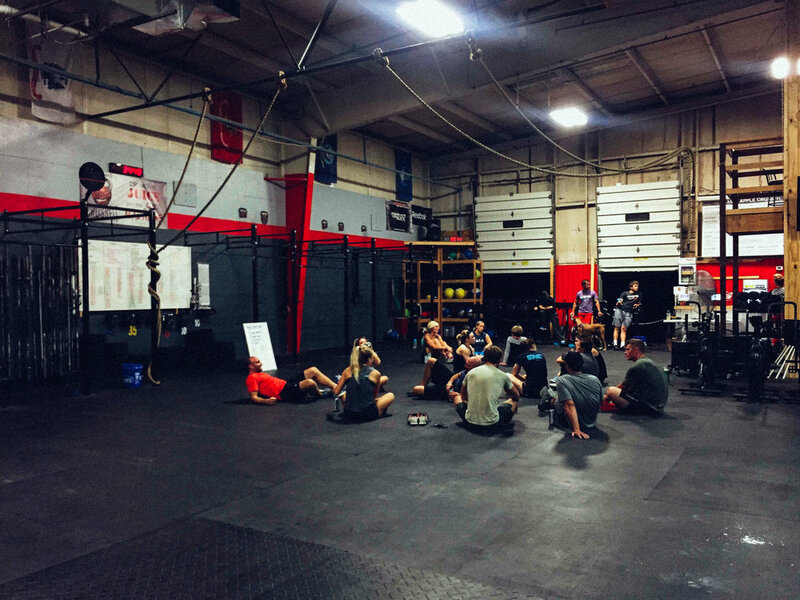 Some Mad Apple athletes wanted to double up workouts and we wanted to give some Night Moves regulars the opportunity to give CrossFit a shot for the first time. 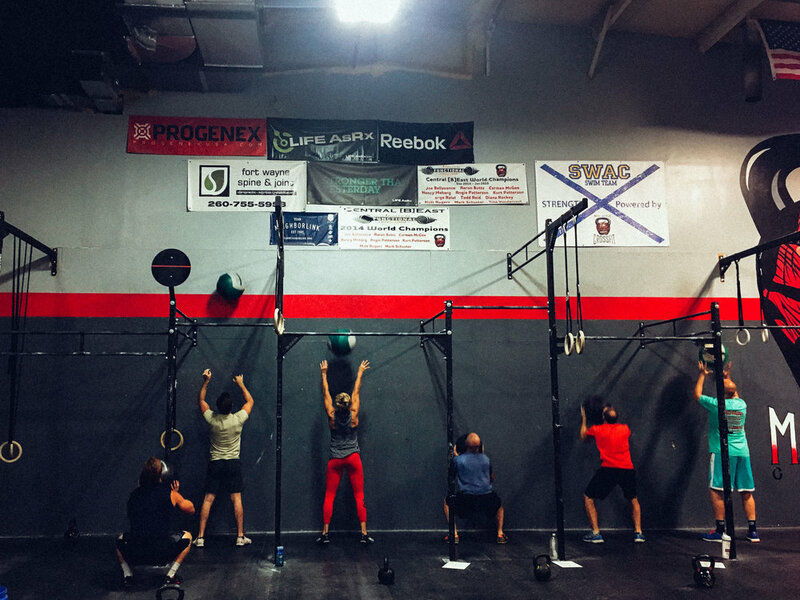 Athletes began the evening with 15min workout that had them doing as many rounds as possible in 15minutes of 15 wall balls, 9 kettle bell swings, and 6 burpees. 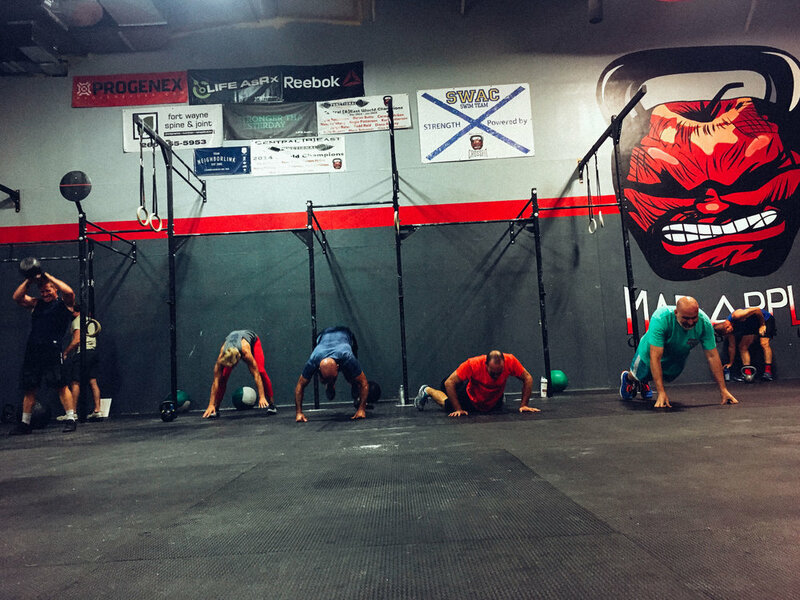 The cool evening and cool gym quickly heated up as everyone was dripping sweat by the end of the workout. Maddie Shine and Tyler Cady took home the custom Blender Bottles by getting in the most rounds and reps by the end of the workout. 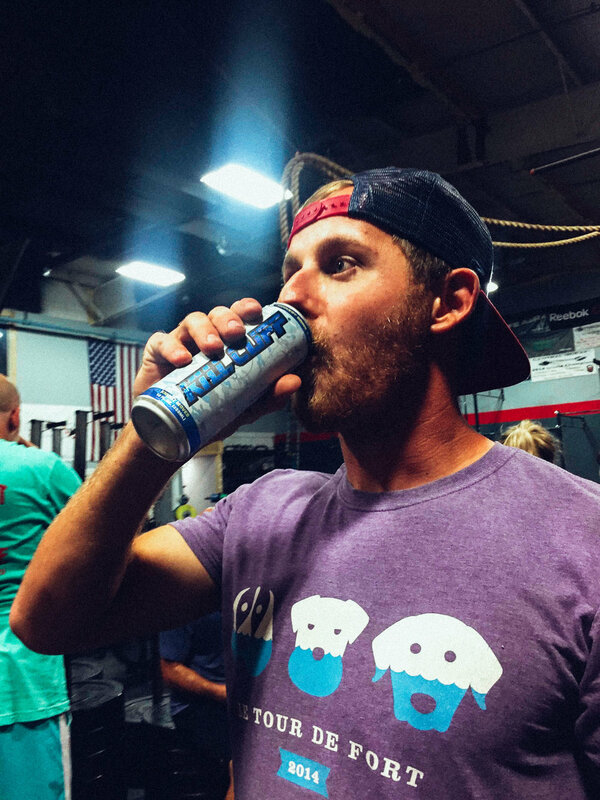 Between workouts, everyone just hung out and enjoyed fellowship with each other and enjoyed some Kill Cliff "Knight Moves" recovery drink. Thanks Kill Cliff for donating some to our event. 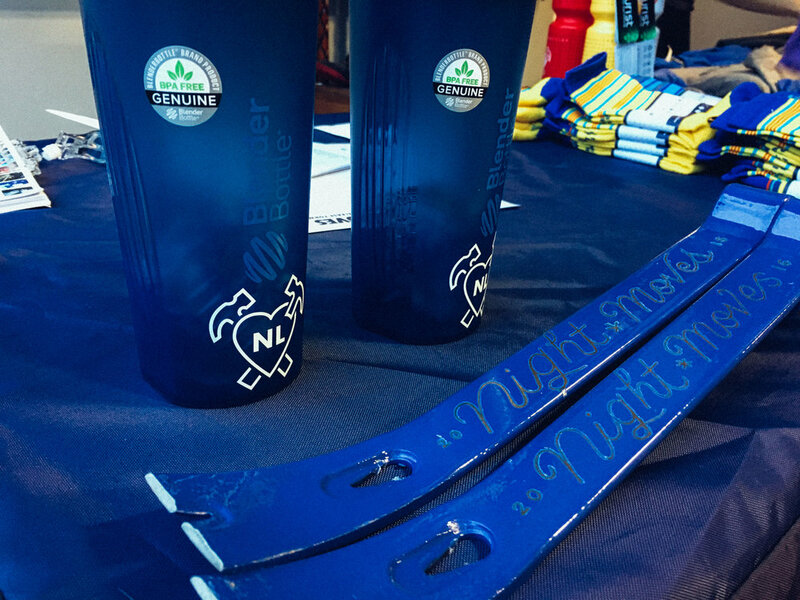 It was fun to have some official drinks for our race. At 10pm, runners gathered in a field next to Mad Apple before taking off on a 4mi run on the greenway through Sweeney Park and down Main St. We added some fun off-road sections in the dark woods in Sweeney Park this time, and there were more than a few comments about the extra pace that it caused folks to run because of it being so dark and different than the normal running they do. Tom Horn took an early lead and finished the course in 27:55 just a few steps ahead of the 2nd place finisher. Katherine Patterson took the lead of the ladies for the entire run and finished with a time of 35:12. Both athletes completed the workout earlier in the night as well. Proof that CrossFit must be working for them! Thanks again for the continued support and partnership, Mad Apple. We appreciate you all allowing us to host an event and leveraging your relationships with your members to benefit our cause. 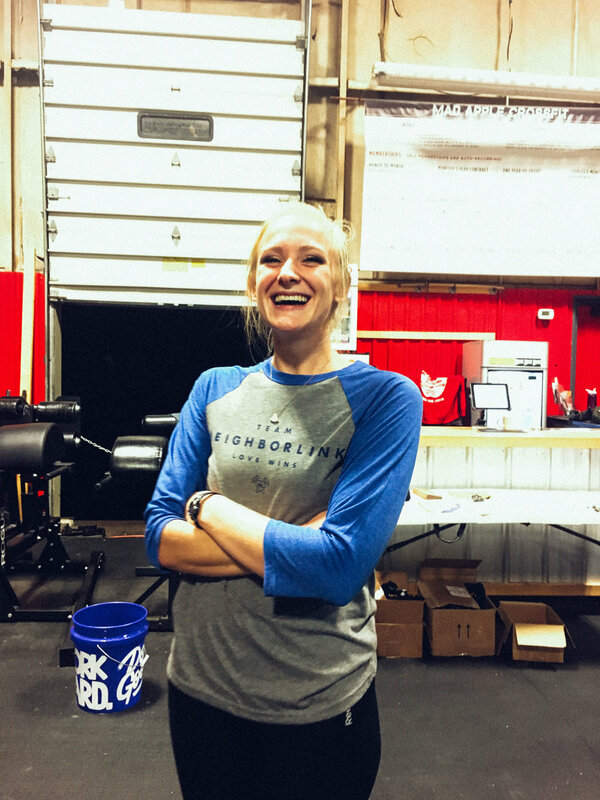 We loved seeing the energy behind this week's t-shirts and giveaways. Thanks everyone for buying up all our inventory!